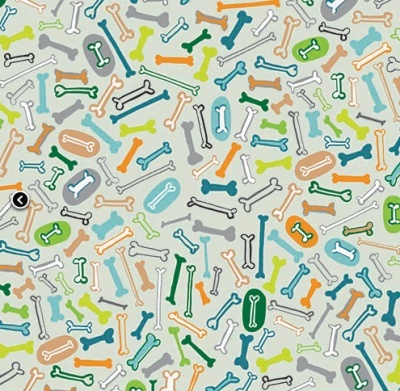 Scattered bones design on a grey background, 100% cotton from the Dashwood Studio cotton collection. 110cm / 44" Width, this fabric weighs approximately 150gsm. Multiples of a size will be cut as one piece unless requested otherwise. Lovely design. Delivered quickly with secure packaging. Looking forward to making something for my new grandson.Thank you!